The Montreal Canadiens are going to raise a puppy for one year before returning it to the Mira foundation. Mira provides guide dogs for blind people, as well as service dogs for those on the autism spectrum, or those with reduced mobility. The foundation breeds more than 300 dogs each year, and after being fostered for one year go through a three to six month training program. About two-thirds of the dogs succeed and get paired up with a human. The pup is a second-generation cross between a Labrador and a Bernese mountain dog known as a Saint-Pierre. It's supposed to be hard-working, lively, forgiving, and always seeking human contact. 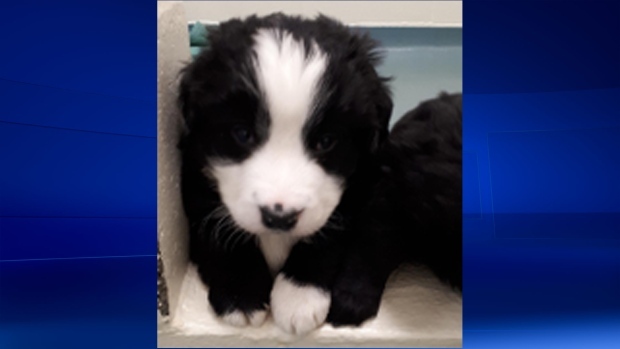 In the meantime, the Canadiens are holding a contest to name the dog, a male pup born on Oct. 3.